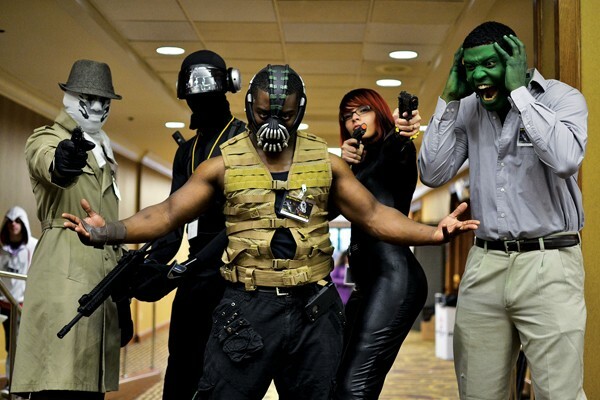 MidSouthCon 32 celebrates geek culture. The Doctor from Doctor Who, teenagers with cat ears, pairs of superheroes, and groups of comic book villains swarmed the Hilton Hotel in East Memphis this past weekend at MidSouthCon 32, an annual three-day convention celebrating games, films, comics, and any other facet of nerd or geek culture. Guests of honor this year included Kelley Armstrong, author of the Bitten series that now has a show on Syfy, and Dr. Science, an NPR favorite from the 1980s to the early 1990s. Carlin Stuart, the co-chair of the convention, said about 1,900 people attended this year's convention. MidSouthCon has a little something for everyone — crafters and artists selling their wares in the dealer room, a 24-hour board game room, a hospitality suite with snacks and sodas (nicknamed the "Con Suite"), and art shows. The Midsouth Makers, an organization dedicated to tinkering, even made an appearance with a whopping four 3D printers working in real-time between the hotel lobby and the convention center. But perhaps the most visually interesting event of MidSouthCon is cosplaying. "There's a segment of people who love to dress up," Stuart said. "Of course, we have fun taking photos of them all weekend. They take a lot of time to design and build these things. That's the extension of their hobby." "Cosplay" is a portmanteau of "costume" and "roleplay," where attendees dress up as specific characters of their fandom, whether from gaming, books, comics, film, or TV. Sometimes, if the mood is right, they'll act like them too. Two Storm Troopers and Darth Vader — who look like they're walking right off the set of Star Wars — could be spotted walking around the lobby of the Hilton throughout the weekend. Kevin Avent, who was dressed as Darth Vader, said he's been a fan of Star Wars since 1977. His costume was even complete with a voice modulator. "We [make appearances for a] lot of children's charities like the Make-a-Wish Foundation and Autism Speaks," he said, his voice metallic — minus the famous breathing pattern. Stacey Cotham, who was dressed as Agent Scully from The X-Files, said it was her first time wearing that costume. Her background in theater helped prepare her for three years of cosplaying. "It's been the best reception of any costume of mine so far," Cotham said. "The attention can be kind of weird, but cosplaying is an exercise in creativity and resourcefulness. You have to make your costume presentable in a short time." Multiple cosplayers — and even co-chair Stuart — called the convention a "safe space" where fans could be themselves, maybe for the first time. Elizabeth Duke, who was dressed as Link from the Legend of Zelda video games, said she had been working on her costume since October of last year. "My favorite part of cosplaying is getting to be around people who do what they love," Duke said. "I also like seeing people who don't normally fit in come here and fit in immediately. It's a safe place. It's better than high school." As Duke spoke, a little boy with a video game-themed shirt shyly walked up to her and asked her if she's Zelda, the princess in the game. 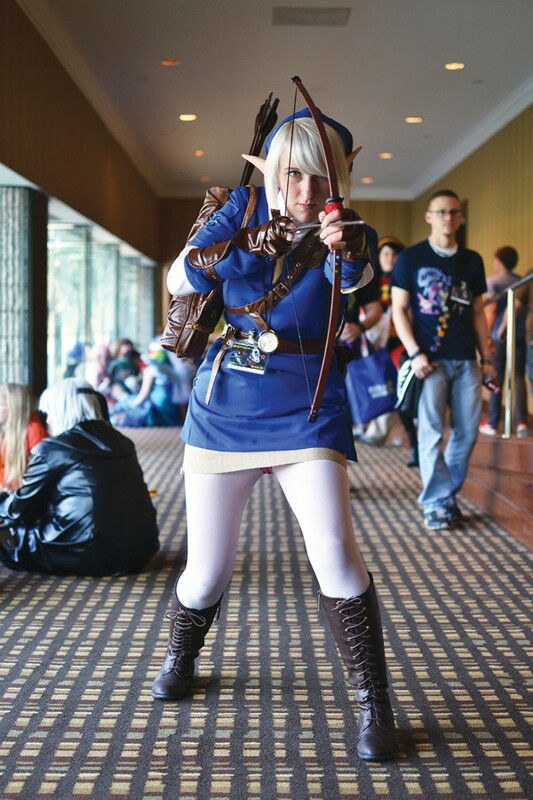 She confidently defended herself as Link, adding, "I know you're trying to trick me." He's defeated, but she laughed and seemed to level up.